Photo taken from a 1930s glass slide. Probably the site of the old St.John's Chapel, Pilling, 1934. 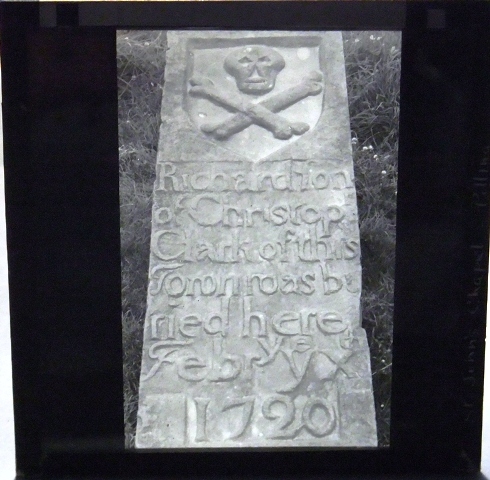 The grave of Richard, son of Christopher Clark who was buried 10th of February 1720. The new chapel was erected about this date.